Does this magical app really help you organize your life and “Spark Joy?” Read this review and find out! I could make hospital corners on a bed and style a vignette in ten minutes, but close friends know that my organizational and tidying-up skills are quite hopeless. 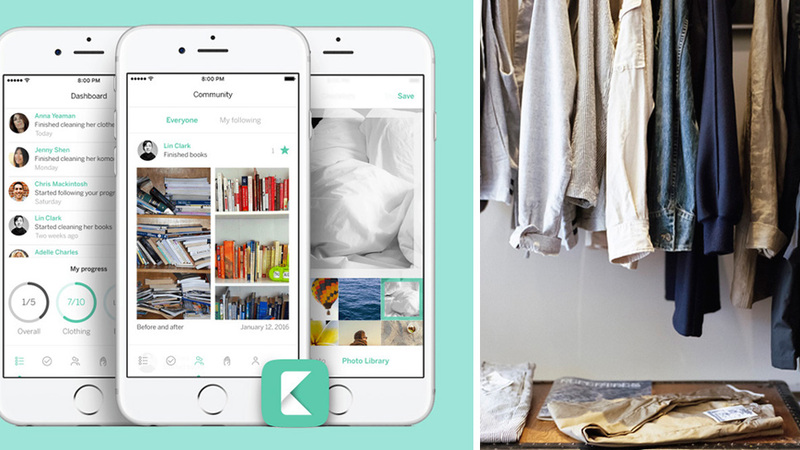 So this gave me the perfect reason to try the KonMari App. Almost everyone knows about Marie Kondo, the Japanese organizing consultant and author of bestselling book The Life-Changing Magic of Tidying Up: The Japanese Art of Decluttering and Organizing. Kondo’s groundbreaking way of organizing is called the KonMari method, wherein one’s belongings are sorted by category, and items that are kept should only give you tokimeku (“Spark Joy”). (For more on this, click here.) This method has spawned a cult-like following for Kondo and KonMari, with multiple books, seminars, and of course, the app. In a desperate attempt to reclaim the space of my closet, bookshelves, and desk, I decided to try the app for a week. Here’s what happened.